One man on a quest to collect ALL the hamburgers. 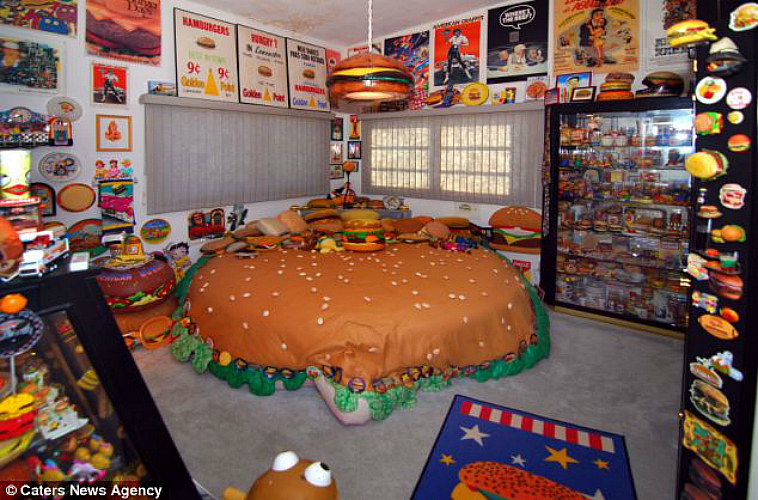 Here at First We Feast, we love burgers. We’re all about them. 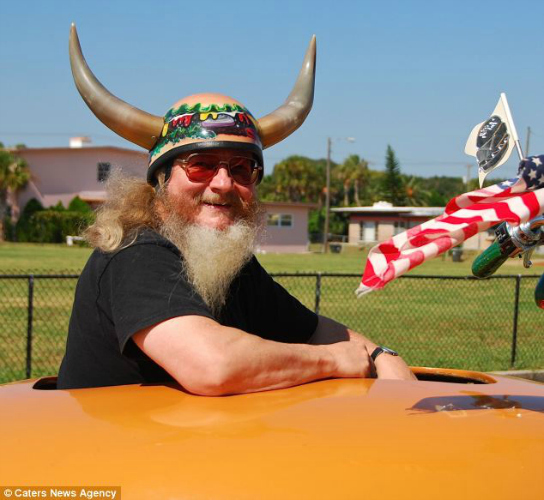 But here’s someone who loves them even more: Harry Sperl, or “Hamburger Harry,” as his friends and admirers call him. 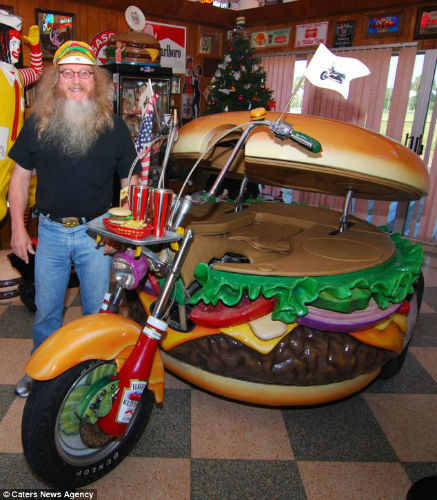 Harry has been collecting hamburger memorabilia for 23 years, scavenging through flea markets and garage sales to find everything from “a burger mobile phone, hamburger money banks, biscuit jars, clocks, hats, trays, erasers, badges, magnets, music boxes and salt and pepper shakers.” All this shopping has amounted to over 1,000 souvenirs, all of which are displayed in his home, which is now the world’s only museum dedicated to hamburgers. 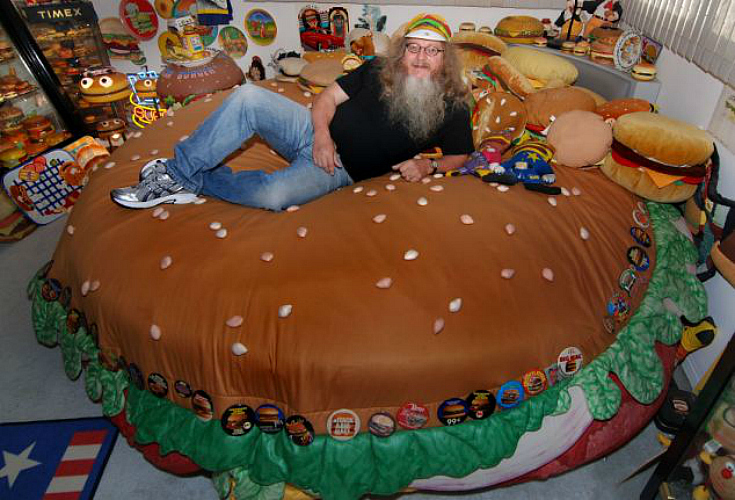 Harry is hoping to expand his collection and build a hamburger-shaped museum in which to display it. 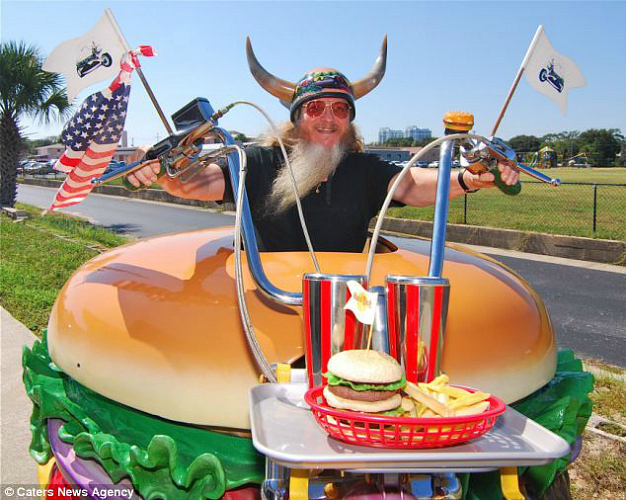 For now, you can find him zipping around in the world’s only “Hamburger Harley,” complete with ketchup shock absorbers and pickle handlebars.